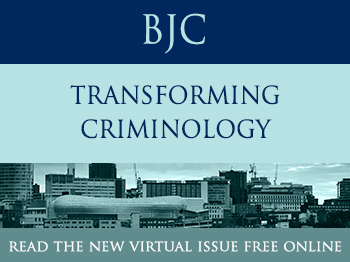 Birmingham City University proudly presents the 2018 British society of criminology conference, running July 3 - 6. 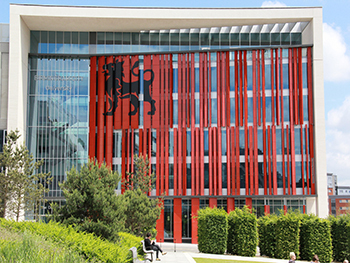 The conference will be hosted by the University’s Centre for Applied Criminology and will take place in the brand new City Centre Campus. The conference will be split into two sections, with a postgraduate conference taking place between July 3 - 4, before the main conference runs July 4 - 6. The British Society of Criminology Conference 2018 will be relevant to both UK and international delegates, from academic and practice-based backgrounds, with an interest in: criminology, criminal justice, socio-legal studies, social policy, law, human rights, psychology and sociology. You’ll find a diverse and welcoming environment at Birmingham City University. We’re a modern and dynamic international university, with staff, students and alumni from more than 100 countries. Birmingham is quickly transforming into a world-class city. It is ideally placed to bring people together and host to the British Society of Criminology Conference in 2018. Birmingham City University and its newly built, extensive city centre Eastside campus, is just a short walk from Birmingham City Centre and the iconic Bullring Shopping Centre, as well as the recently redeveloped New Street rail station. Birmingham grew to international prominence in the 18th century at the heart of the Midlands Enlightenment and subsequent Industrial Revolution, which saw the town at the forefront of worldwide advances in science, technology and economic development, producing a series of innovations that laid many of the foundations of modern industrial society. By 1791 it was being hailed as ‘the first manufacturing town in the world’. Today Birmingham is a major international commercial centre, ranked as a beta− world city by the Globalization and World Cities Research Network, and an important transport, retail, events and conference hub. Its metropolitan economy is the second largest in the United Kingdom and its six universities make it the largest centre of higher education in the country outside London. Birmingham's major cultural institutions – including the City of Birmingham Symphony Orchestra, the Birmingham Royal Ballet, the Birmingham Repertory Theatre, the Library of Birmingham and the Barber Institute of Fine Arts – enjoy international reputations, and the city has vibrant and influential grassroots art, music, literary and culinary scenes. Birmingham is the fourth-most visited city in the UK by foreign visitors, with easy access to places of interest such as Stratford upon Avon and Warwick. For this reason a BSC conference hoisted here can be of both national and international interest and attract a wide pool of delegates. With more canals than Venice, and bars, cafes and restaurants to cater for all tastes, Birmingham is a major conference hub, and has hosted a vast array of national and international events. In 1997, the city was host to the Eurovision Song Contest final and the (as then) G7 Summit, and in recent years has regularly hosted major national conferences’ including party political conferences. It will soon host the Commonwealth Games in 2022.